Cetirizine, a human metabolite of hydroxyzine, is an antihistamine; its principal effects are mediated via selective inhibition of peripheral H1 receptors. The antihistaminic activity of Cetirizine has been clearly documented in a variety of animal and human models. In vivo and ex vivo animal models have shown negligible anticholinergic and antiserotonergic activity. In clinical studies, however, dry mouth was more common with Cetirizine than with placebo. In vitroreceptor binding studies have shown no measurable affinity for other than H1 receptors. Autoradiographic studies with radiolabeled Cetirizine in the rat have shown negligible penetration into the brain. Ex vivo experiments in the mouse have shown that systemically administered Cetirizine does not significantly occupy cerebral H1 receptors. 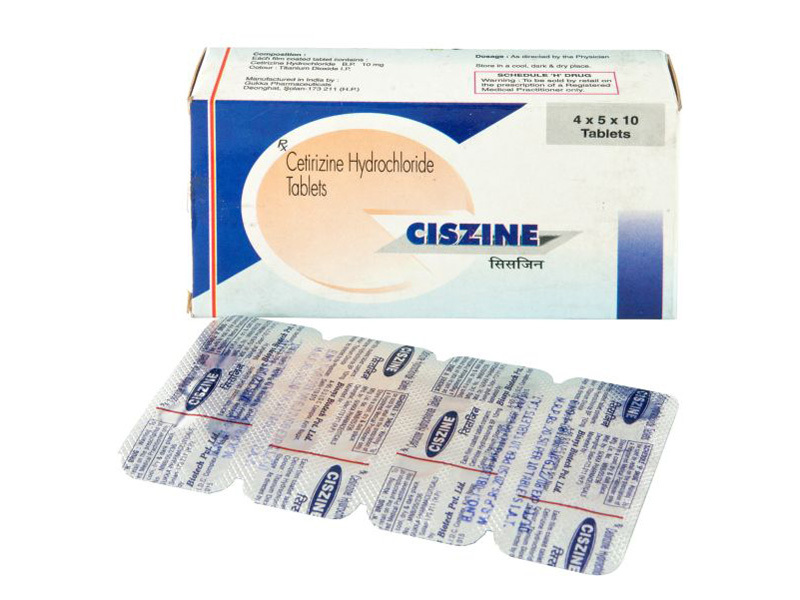 Cetirizine is a potent and highly selective antagonist of the peripheral histamine H1-receptor on effector cells in the GI tract, blood vessels and respiratory tract. Absorption: Absorbed rapidly from the GI tract (oral); peak plasma concentrations after 1 hr. Rate, but not extent, of absorption altered by food. Distribution: Enters breast milk; crosses the blood-brain barrier (insignificant amounts). Protein-binding: Highly bound. Excretion: Via the urine (as unchanged); 10 hr (elimination half-life). Somnolence, insomnia, malaise, headache, dizziness; GI discomfort, dry mouth, abdominal pain, diarrhoea, nausea, vomiting; occasional hypersensitivity; epistaxis, pharyngitis, bronchospasm. Those patients with a known hypersensitivity to it or to its parent compound, hydroxyzine. Hepatic or renal impairment; elderly; tasks requiring mental alertness eg, driving or operating heavy machinery; pregnancy. If you are trying to become pregnant or are pregnant, or are breast-feeding you should seek medical advice before taking this medicine. You should not take Cetirizine 10 mg Tablets during breast-feeding because cetirizine passes into breast milk. Risk of increased INR and epistaxis when taken together with warfarin. Potentially Fatal: CNS depressants and anticholinergics may potentiate CNS depression of cetirizine. For adults and children over 6 years old, the initial recommended dose is 5 mg or 10 mg as a single dose depending on symptom severity. For children 2-5 years of age, the initial recommended dose is 2.5 mg daily, max 5 mg daily.